Combine the cinnamon and sugar and stir together, then set aside. Be sure to wash and dry the apples. Cut apples into thin slices and place on the parchment paper. Be sure not to have the apples overlap, but placed side by side in a single layer. Sprinkle the cinnamon sugar combination over the apple slices evenly. Bake the apple slices for about an hour, then flip each slice over. Once the slices are all flipped over, bake for another hour. 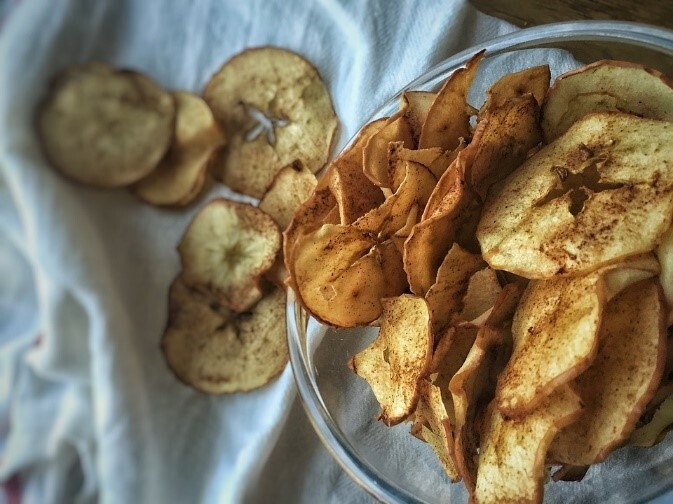 Remove the crispy apple chips and serve!